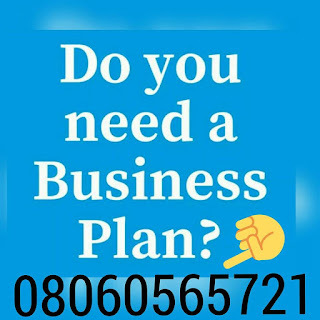 After payment text your name, your e-mail address and bank teller number to 08060565721 and you’ll receive your PALM OIL PRODUCTION / PROCESSING MILL BUSINESS PLAN / FEASIBILITY STUDY PROPOSAL. This plan is prepared for ABC oil resources, based on one year of cognate apprenticeship experience, both practical and intellectual in the palm kernel oil extracting business. The firm is highly focused and promise to follow a path of prosperity of palm kernel nuts for its owner and staff. ABC oil resources will engage in the crushing of palm kernel nuts in order to extract palm kernel oil and palm kernel cake. The purpose of this plan is to demonstrate to my key financial partner (bank of industry), technical partners e.t.c. of the high profit making potential of the business. The plan is to also attract and secure my youth entrepreneurship scheme programme (YES-P) loan facility with the Bank of industry (BOi) for the venture. The factory produces palm kernel oil and palm kernel cake as its main product. Palm kernel oil is a main raw material in the production of edible vegetable oil and palm kernel cake is a major raw material in the production of assorted animal feeds. The proposed installation capacity of the factory is about 480 metric tons of palm kernel oil per annum and about 660 metric tons of palm kernel cake per annum. Also about 68 metric tons per annum of a minor product called palm kernel oil sludge is also being produced. An estimated and conservative sales revenue of N60,000,000 will be generated in the first three years of operation and will grow steadily at a yearly average. Subsequently, the projections contained here in are authentic and will be used as the budget for the business. ABC oil resources will produce palm kernel oil and palm kernel cake for the city of its domicile, Lagos, the entire Lagos state and the nation in general. The first three years will be used to consolidate its hold on the raw materials bases while continuing its production process in the state. To produce palm kernel oil and palm kernel cake of high quality matching industry standards and chemistry expectations. To deliver to buyers of our finished products with punctuality and at competitive and guaranteed prices. To give incentives and good purchasing prices to suppliers who deliver to us good quality palm kernel nuts with low moisture content, low shell content and low imparities content and regular basis. VISION: The vision is to become the ledding producer of high quality palm kernel oil and palm kernel cake in the country. MISSION: The mission of the company is to operate a production plant committed to excellence in the production of high quality products that will be accepted across the industry. This is the process of extracting palm kernel oil (PKO) from palm kernel nuts (PKN). This palm kernel oil which is the primary products are used by industries that produces vegetable oils, soaps, creams and other cosmetics, or for any vital industries purposes. In the process of extracting this palm kernel oil, there are also two secondary products which are being derived from these palm kernel nuts, they are called the palm kernel cakes (PKC) which is the rudiments, and the sludge which is the sediments. These secondary products are used as animal feeds and for other purposes. Those industries that uses this palm kernel oil as their raw materials to produce edible vegetable oils, soaps and creams finds it difficult going into the remote areas or villages where palm kernel nuts can be gotten in large quantities in which can be used to produce their raw materials. This is because most of the operators of those industries are foreigners, thereby they finds it difficult and dangerous going into the villages to source for palm kernel nuts. The livestock owners who makes use of the palm kernel cake (PKC) as animal feeds for their livestock cannot on their own go ahead to produce those palm kernel cakes, this is because for them to produce those palm kernel cakes, they need to own a palm kernel oil production factory, in which will seem so difficult, cumbersome and expensive for them to embark on. So as regarding the fact that they cannot produce feeds because they don’t have the palm kernel oil factory or machineries, they go about everyday in search of these palm kernel cakes for their livestock. Being unable to get these feed and on time might thereby cause malnutrition or death to the livestocks. ABC resources will be going to those typical villages or remove areas that those foreigners couldn’t go to source palm kernel nuts, bring it to the city where the factory is located, crush the palm kernel nuts and extract the crude palm kernel oil and sludge for those industries to access the raw materials for their production with ease or without fears of going into the typical villages or remote ares of the country. We will also deliver to those livestock owners who uses our palm kernel cake as their poultry feeds, thereby relieving them of the pain and the inability to own a palm kernel oil crushing machine just for the purpose of getting their animal feeds. Nigeria with an estimated population of over 150 million people, a national population growth rate of 5.7% per annun and an average economic growth rate 3.5% per annum in the past five years it his a very large market for palm kernel oil and palm kernel cake. This is because about 80% of all the edible vegetable oil consumed in Nigeria is made from refined palm kernel oil, what we call “groundnut oil “ in the ordinary market place. So with these, the demand for crude palm kernel oil in the local market is very huge, as a result that, the refineries that uses it as their raw materials do book for the products and pay in advance in order to secure the products. Going by a recently concluded detailed research, presents a detailed analysis which shows that demand and supply gap is currently estimated to be between 500,000 metric tons to 600,00 metric tons per annual. An estimate also shows that Nigeria requires about 1,200,000 tons of vegetable oils to meet up to the national requirements for food and non food uses. From a detailed analysis of the sector, total palm kernel oil and palm kernel product per annum is currently about 74.000 tons even though the ban on crude palm kernel oil importation into the country was lifted in the year 2008, yet it has not bridged the gap. So we can see that with this demand and supply gap, it opens up more business opportunities for investors and business owners in the sector. The palm kernel sludge market segment. As regards to our market segmentation, some of the customers’ needs in all the markets are homogenous while some are different. Those customers in the palm kernel oil market segment have some atom of homogeneity needs with those customers in the palm kernel sludge market. Meanwhile between those our customers in the palm kernel oil and palm kernel cake market segments their needs are different. MARKETING ACTIONS: In marketing the firm’s products to its different market segments, the firm will undertake on the following actions. The firm will engage in prospecting customers through the owners of those factories which uses our end products or through their marketing/purchasing managers. We can also prospect our customers through agents. We will be informing our customers through our various or multiple channels of communication about the availability of our products after the production process. Prompt and adequate delivery of products to our customers after. After payment text your name, your e-mail address and bank teller number to 08060565721 and you’ll receive your PALM OIL BUSINESS PLAN / FEASIBILITY STUDY PROPOSAL.